Papa John’s Pizza, one of America’s top restaurant companies and the fourth largest pizza delivery chain in the country, invites its customers to rate services and overall satisfaction. The huge franchise, founded by “Papa” John Schnatter, opened its doors for the very first time in October 2, 1984. After three decades of success, Papa John’s grew into a 20.700 employee pizza chain. Its slogan, “Better Ingredients. Better Pizza. Papa John’s.” perfectly describes the quality of services that customers can benefit from and the company’s drive to become the best. Have you recently dinned in one of Papa John’s locations? Did you recently order from the company? 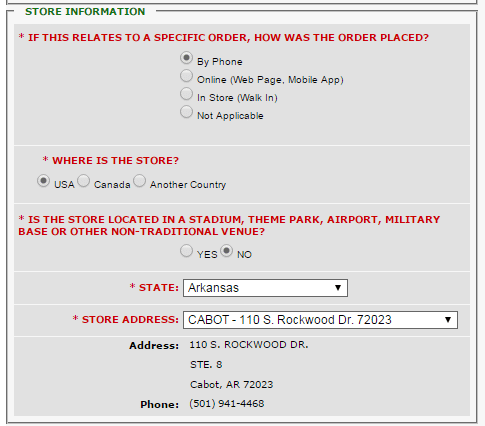 If the answer is yes, then www.papajohns.com wants you to complete the customer satisfaction survey. According to the staff, opinions and suggestions will influence the type of services offered, and lead to ultimate customer satisfaction. It doesn’t matter if your opinion is positive or negative because PapaJohns will take you seriously. Your opinion matters, and by voicing it you will be able to improve customer service for your next visit at the pizza chain. If you wish to complete the Papa John’s survey we are here to offer you a few helpful tips. The first thing you need to do is to head on over to the company’s feedback form (which can be found here). On the left side of the screen you will see several options like FeedBack Form, Holiday Promotion etc. You are interested in the feedback form. In the initial form you will see questions such as the type of comment that you wish to send, whether it concerns previously submitted feedback and categories/subcategories filters. If your experience with PapaJohns was a positive one you should pick “praise”. Alternatively, you can choose suggestion, question or complaint. The categories and subcategories sections include information such as restaurant service, delivery, campus suggestion etc. Pick the ones which most closely fit your feedback information. Once you have completed all the initial fields the page will refresh itself. You will now be requested to submit your First & Last Name, address, city, zip code, email address and other information. You can write a maximum of 3900 characters in your feedback form. You should also select whether you are a customer or Papa John’s Employee. Write your commentary and once it is complete press the SUBMIT button. Completing the Papa Johns customer survey is very important if you want services to improve in the future. 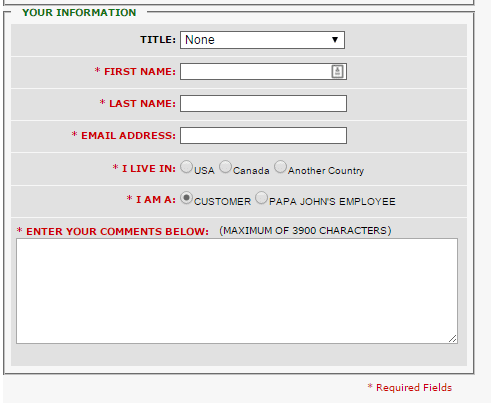 As you can see, the customer survey for www.papajohn.com is extremely simple to fill. Although you will not be receiving any promo coupons or free meals, the five minutes that you allocate to this process may result in improved services for your next visit to the restaurant. Laptop/PC Experience: 5/5 stars – The process is very fast. 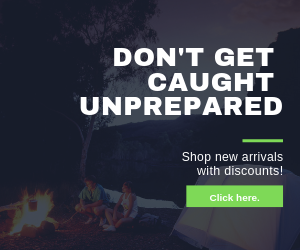 You don’t have to enter any code from your receipt and you are given a plethora of categories where your suggestion or comment will be relevant. Tablet experience: 5/5 stars – The survey form seems responsive and it is very comfortable to complete from a tablet. Smartphone experience: 4/5 stars – We felt that the process took a bit too long from the smart-phone, but that was also due to the nature of the device. At present, the franchise operates roughly 4.200 restaurants in 50 USA States and 35 countries. Over 3.200 restaurants can be found in the United States alone. The other 1.000 are scattered in other countries. The menu mainly consists of pizzas, but you will also find salads, sliced veggies etc. What makes Papa John’s unique are the excellent ingredients used to prepare quality pizza. This standard has been preserved for over 30 years since the company was established. Customers will always receive excellent treatment, fresh products, natural sauces and original dough. In February 26, 2004, the University of Michigan’s National Quality Research Center conducted a customer satisfaction survey which concluded that Papa John’s is the top rating pizza service in the USA, for the fifth year in a row. According to this satisfaction report, Papa Jogn’s scored 76 out of 100, while other franchises such as Pizza Hut and Yum! Brands Inc. scored 75. The company has provided customers with various methods of offering feedback. When it comes to customer service, Papa Johns excels. It may already be a major player in the restaurant industry, but it will always take into consideration suggestions of improvement from its customers. Customer Service Email: Unfortunately, the company does not have an email address available for the customer care department. Clients who wish to contact personnel directly must do so through the feedback form. As described above, the user can select the type of feedback, Papa Johns complaints or assessments that he wants to leave. Social Media: Customers can also connect with the company through its social media profiles. 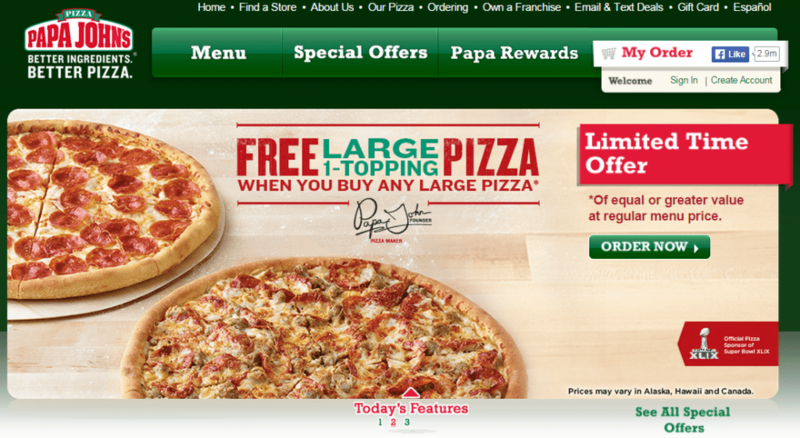 Papa Johns has a Facebook page as well as a Twitter page. Official website: Before contacting the company directly, one should first check out the official website. It contains tons of useful information regarding pizza menus, promo codes & coupons, schedule etc. According to reviews from users, the customer service hotline for Papa Johns is a bit confusing. Although you are told that a representative will get in touch as soon as possible you are asked to go through different menus and sets of options. Eventually, a representative will take your call. Papa Johns has yet to offer any discounts or promos to customers who complete the feedback form.